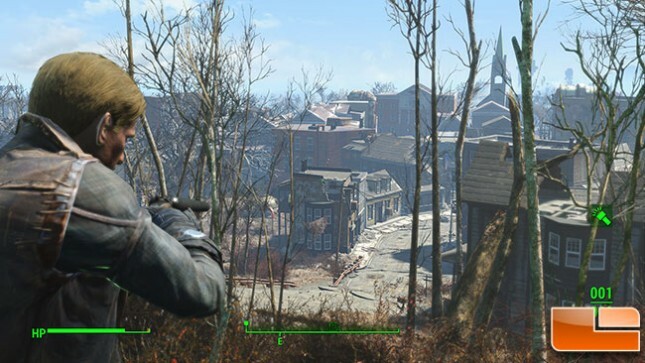 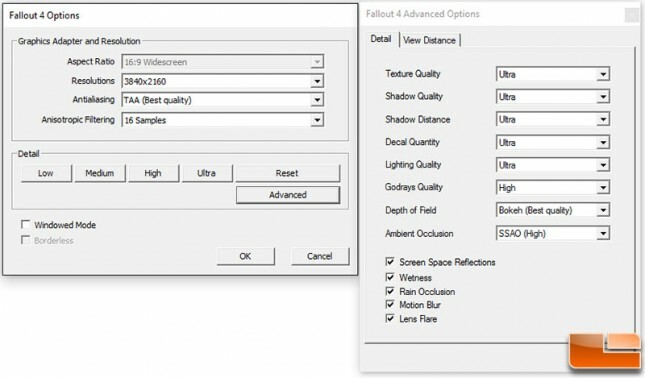 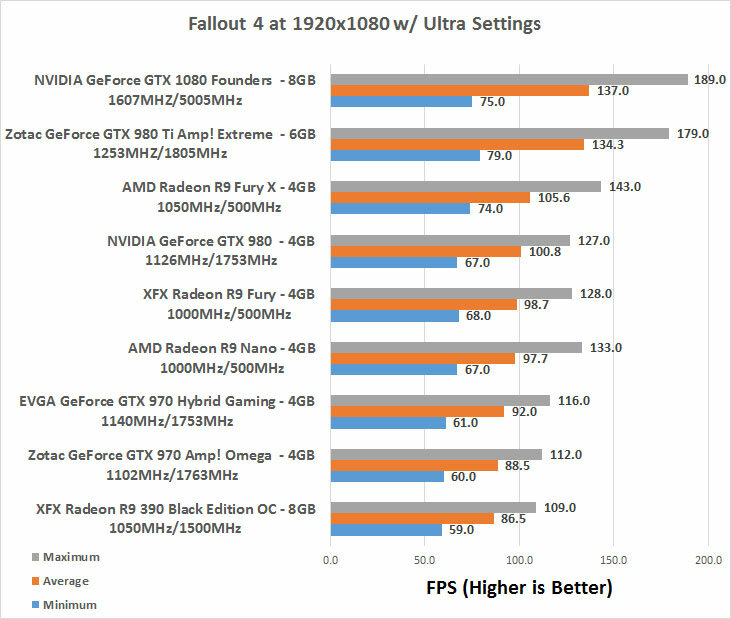 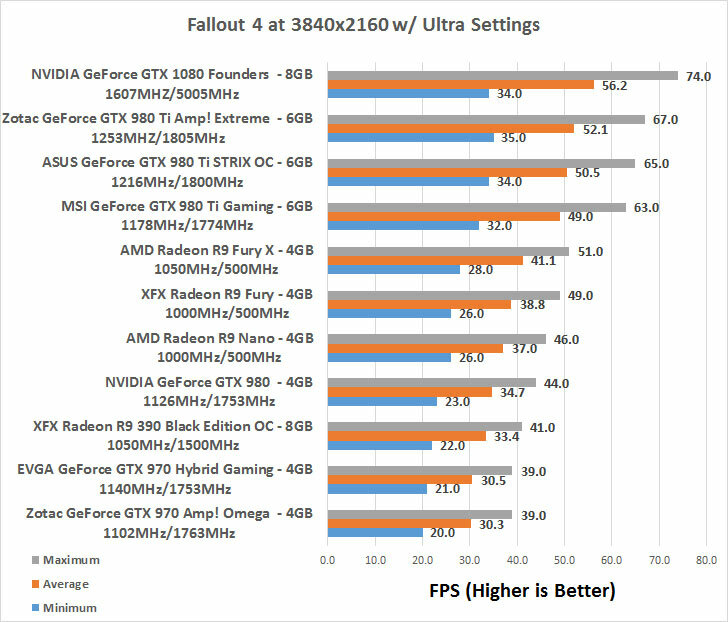 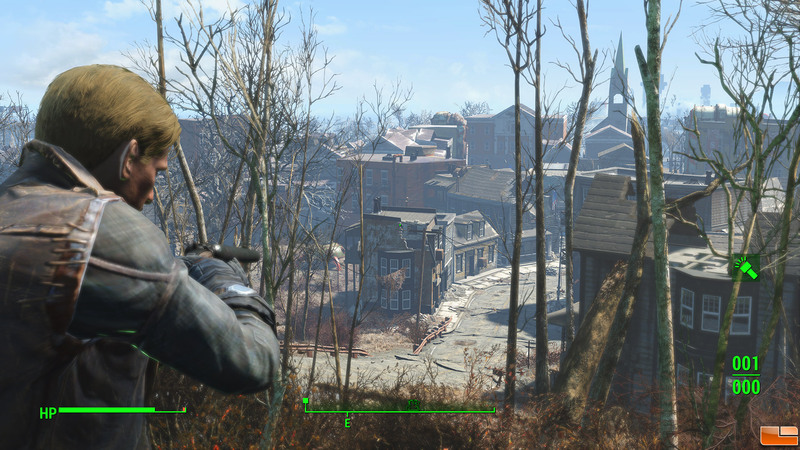 Benchmark Results: In Fallout 4 at 1920×1080 the GeForce GTX 1080 was found to be slightly faster than the Zotac GeForce GTX 980 Ti AMP! Extreme edition video card on the average frame rate. 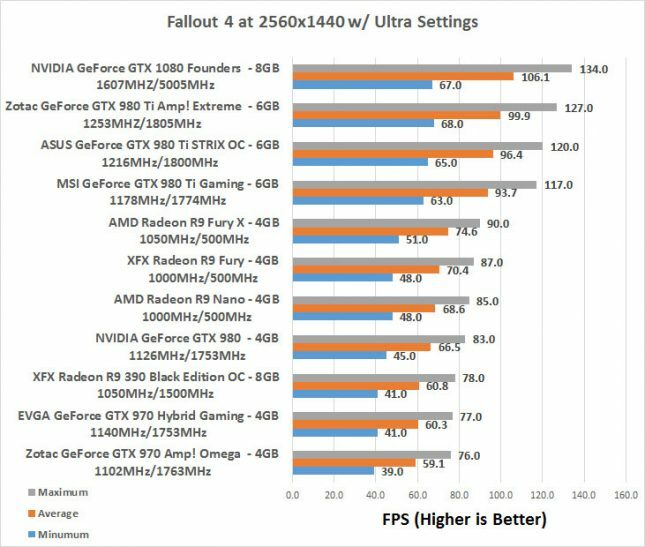 Benchmark Results: With the display resolution cranked up to 2560×1440 we GeForce GTX 1080 was still in the lead by a small bit, but was still far faster than the Radeon R9 Fury X. Benchmark Results: When we increased the resolution to 3840×2160 for some 4K gaming goodness the GeForce GTX 1080 FE was found to be 37% faster than the Fury X and 62% faster than the GeForce GTX 980 reference card!